They actually provide a full menu of wedding services in the local Montréal market, including wedding planning, décor & rentals. But it was their online wedding invitation store (available to all canadians) that prompted us to declare them one of our Editor's Picks, for their DIY Invitation offerings. 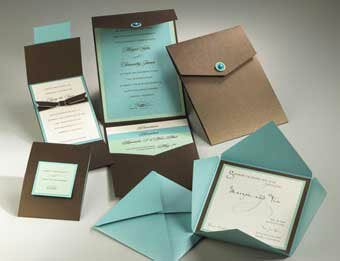 Read our Dedicated Envelopments® Feature instead.. The DIY selection is built around on the very flexible and contemporarily-styled product line by Envelopments®. 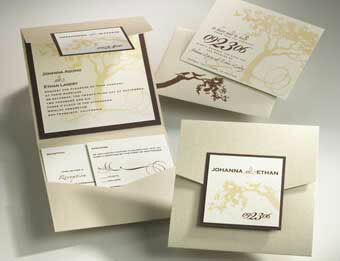 It includes all the different materials required to assemble your own wedding invitations and stationery. You can choose pocketfolds, portable pockets, gatefolds, cardstock, adhesives etc. and mix-and-match them to create your own designs. A pocketfold starts at $1.70, to keep it affordable for DIY couples or you can "buy bulk" and have a complete set for as low as ~$3.00-$3.50. A Picture is a thousand words, yes? 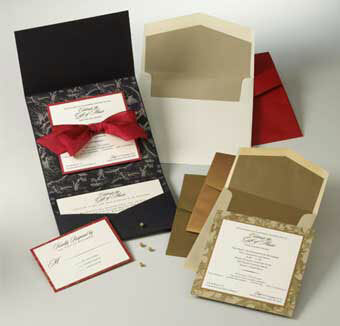 You decide on your colour theme, the size and the orientation of the invitation. or just a single cardstock layer. 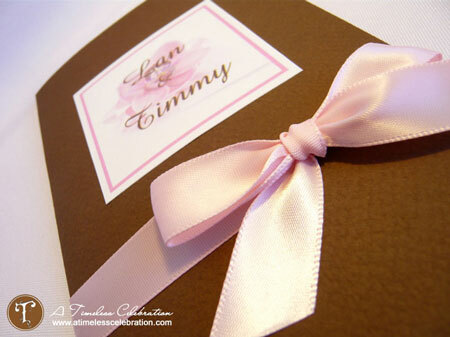 You choose a cardstock layer on which to print your invitation text. if you want all the information on the printed invitation layer. or you will have separate inserts for maps, directions, activities (for out-of-town guests) and information on the different wedding events that will be taking place. Also, to help you get started, look at the two worksheets with different invitation styles that will give you ideas for your own invitations. From a single layer invitation to one with many different layers and inserts, as well as ribbons and crystals, mix and match the designs and you will have a personalized invitation that will surely wow your guests! By now, you should be able to use the above practical guides to create an invitation design that matches your theme and one that will surely fit your budget, since you are the one who actually designs the invitation. But if you 're not sure yet, or can't decide on a final arrangement, no worries! A Timeless Celebration also have recipes you can follow as a starting point and then make adjustments according to your specific needs, wedding theme and ideas. Lucky you! Starting this February, A Timeless Celebration will make available open-studio hours, during which you can go in and use their studio and their tools! Stay tuned to their blog for more information. These folks make it really easy. And they seem to have thought everything through and provided clear help for every little question you may have and they're still trying to find new ways to service. 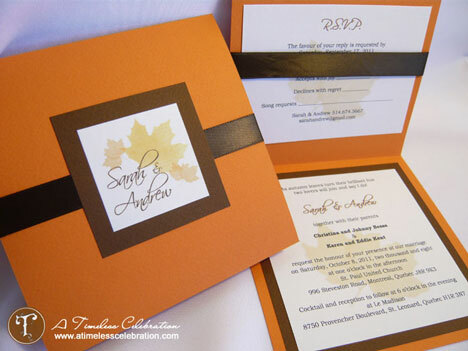 Too, with all these flexible options, you are no longer limited to the cookie-cutter invitation styles that are straight out of the catalogs..
We ordered the personalized wedding invitations. These definitely added a classy and unique touch to our wedding. It gave our wedding that special touch. and service was great!! Caryn's price points on invites were amazing; we saved so much money going with her!! All of our guests complimented how original our invites were and how much they loved them!